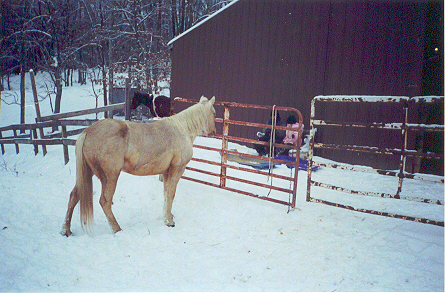 Whisper is a 4 yr old grade gaited mare. Tara and Leshia have done most of the riding on her so far.. she is making a great kids horse. Thank you Maw Maw Diane and Tom for letting us use Whisper.. Tara plans on riding her the way she rode Pebbles.